DEEPHACK GIVES BUSINESS TEAMS IMMERSIVE ACCESS TO THE BRIGHTEST AND MOST CREATIVE NEXT-GENERATION DIGITAL INNOVATORS AND ENTREPRENEURS TO SOLVE THEIR MOST CRITICAL BUSINESS CHALLENGES. EIT Digital will continue its program of DeepHack events in 2019 with multi challenge events in Europe and Silicon Valley. Industry partners are invited to engage through attractive sponsorship opportunities to solve their challenges, present their products and meet industry experts and talent. Results-driven innovation acceleration. Proven methodology, developed by partner Ultrahack, based upon experience with dozens of challenges, builds the backbone of each hackathon. Access to Europe's leading ecosystem for digital transformation, with close to 200 partners from top European corporations and SMEs, over 100 startups, 20 universities and top research. Customised and scaled to answer specific business needs. The DeepHack setup can be adjusted to accelerate the problem-solving process, boost products, platforms, and brands and provide access to relevant industry experts and talents. EIT Digital has successfully held DeepHack events in Berlin (“Hack the Mass Customization”) and Silicon Valley. (“Hack the Bay Area Traffic Congestion”). Sponsors can look back on outstanding, creative, practical as well as scalable solutions. Participants, including EIT Digital Master School students as well as entrepreneurs and start-ups, have been able to learn about state of the art product platforms, have instructive and effective sessions with their mentors on the technical and business aspects of their solutions. 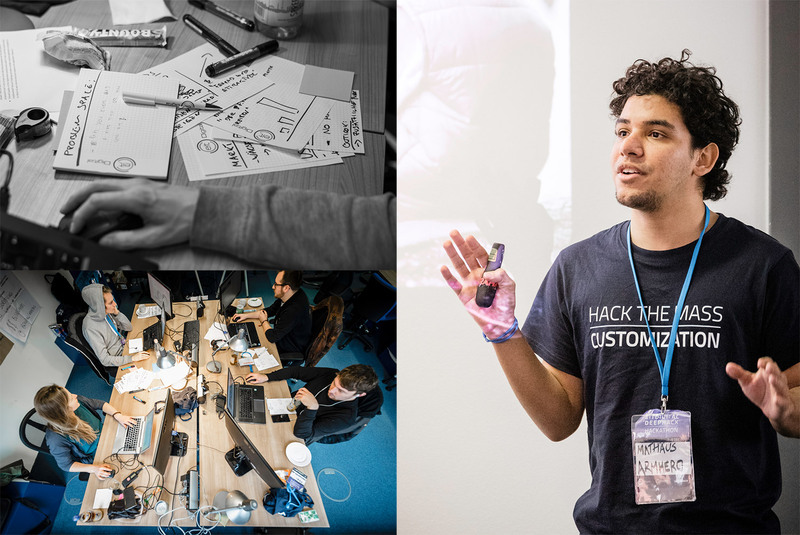 Check out the detail coverage on these events at the EIT Digital Newsroom: “The first EIT Digital DeepHack: 48 hours to hack the mass customization for 3D printing” and “Hacking the Bay Area traffic congestion - the EIT Digital Deep Hack in Silicon Valley”. "I'm super impressed by the EIT Digital Deep Hack: The CAD elite meets in Berlin to hack the boundaries of 3D printing applications, using our paramate platform."